Tabular data may be arranged in two rows or two columns. The first column or row - the percentage of filling dot, the second column or row - counted for example here the value increase dot ((dot gain or TVI)). Separate data column spaces or tabs, line separates paragraphs. The first and last values of the table should be: 0 100 and 0 0. Also permissible extreme row or column with the values of table 100 100. Depending on what will be the last value of 100 0 or 100 100 or 0 0, the program will determine the type of your data on a gain dot: relative or absolute, or start from scratch with 100%. Use examples of tabular data processing. Different methods of interpolation curves of table data allow to achieve the most accurate calculations amendments to the dot size in different conditions. So cubic interpolation is more suitable to the initially smooth curves and spline Akima interpolation monotonous and more resistant to outliers on the curve, often due to a measurement error or unfortunate position of control patches on the measured scale. However, the jumps on the curve may not be random and the degree of smoothing can be adjusted by the slider at the bottom right. In any case, the second iteration of clarifying amendments are always shown that it was possible to change the original in the first, to continue to use the best algorithm for the calculation of similar print settings and output plates. The proposed linearization algorithms well with different kinds of printing, but the maximum attention when debugging is paid primarily offset processes. For detailed instructions on standardization with examples can be found here. Call for help to standardize. The cielab.xyz-technique is described in a long article in the Publish 2015 (№11 и №12): «Standardization GOST R 54766. Subtleties calibration offset». Fill in the Target in accordance with the order to which the curve of the standard ISO 12647-2: 2004 do you want to get closer. Fogra as estimates about this option: Curv A = 14, Curv B = 17, Curv C = 20, Curv D = 22, Curv E = 25, Curv F = 28. But no one bothers to aim and precisely. You can not enter numbers and curves just names: A B C D E F. If you need to aim not strictly in the standard curve, and the curve TVI color profile Fogra - enter the name of the curve in the following form: f39c - cyan Fogra 39, f45m - magenta Fogra 45, f47k - black Fogra 47. TVI these popular profiles must correspond to curves A B C D standard, but does not strictly coincide with them. Also available are averaged between 4 and fogra 39 standard curves: af39c, af39m, af39y, bf39k. The curves of Cyan without z factor available under the names: f39cnz, f45cnz, f47cnz. The target flexographic printing curves for the Esko reference are available under the name Esko and Eskonz (for Cyan without z factor). 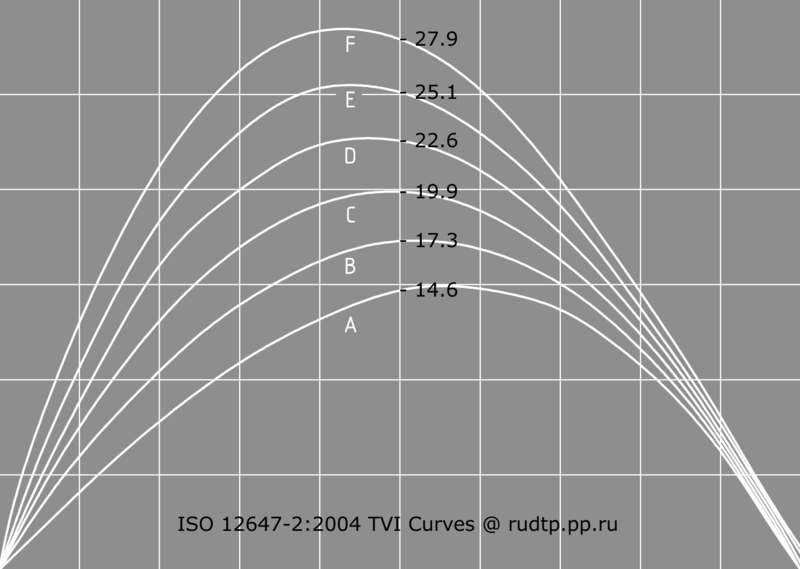 The target curves of the power function of the RGB gamma in the TVI projection are available under the names: Gamma 1.8, Gamma 2.2, Gamma 2.4. Compensation curve TVI under the ISO 12647-2:2013 is the link. Compensation at once for 4 channels CMYK with a tabular result or dlp is located at the link. The difference between the Curv A ISO 2004 standard year and Curv A ISO-2013. The difference between the Curv 16 ISO 2004 standard year and Curv A ISO-2013.